The modern bathroom is way more than just a shower and pooping space. It’s a playground full of fun and creativity. Make your bathroom way cooler with accessories that add fun and enjoyment to your personal bathing space. Whether you wish to jot down all your ideas and thoughts without leaving the shower or looking for an excellent space saving accessory to hook all your clothes and accessories, there is one or another bathroom accessory for everyone. For those loving the warmth of a nice hot soak, a towel warmer brings the bliss. It helps to preserve the balminess even after leaving the hot shower. Towel warmers heat up the towel(s) real fast in addition to killing even the slimmest chances of any bacteria growth. The best towel warmer is Amba Radiant Curved Towel Warmer. In addition to using the bathroom accessory for its intended purpose, it can also be used to heat a variety of belongings ranging from blankets and sheets to jackets. 10 heating bars available in both horizontal and vertical orientations. Strong Grade 304 stainless steel built. Suitable for several contemporary bathroom décors. Toast multiple towels at once. There is more than a single reason for bringing an AquaAudio Shower Speaker to your bathroom. First of all, the hi-quality shower speaker is completely waterproof so that you don’t have to worry about keeping it at a safe distance while showering. The shower speaker flaunts a beautiful and strengthened built that makes it safe against any kind of wear and tear damage. 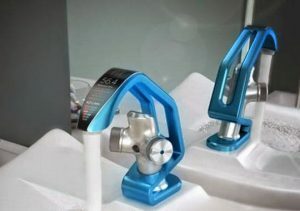 Moreover, the bathroom accessory provides more than 10 hours of battery time that is more than enough to enjoy several musical showers on a single charge. Comes with a sturdy suction cup that allows to place it conveniently almost anywhere. Syncs with a Smartphone or tablet, allowing you to control it effortlessly from the connected device. Built-in mic for answering calls. 10+ hours of battery backup. Shower brings bliss and sometimes, ideas too. But most of the times the ideas might pass away before you get the opportunity to jot them down after getting out of the bath. For people who frequently come up with the best ideas during a bath, AquaNotes Waterproof Notepad is a must-have bathroom accessory. The waterproof notepad has enough space for all your great ideas, thoughts, and plans so that you don’t need to drain down all your nice thoughts while having a shower. 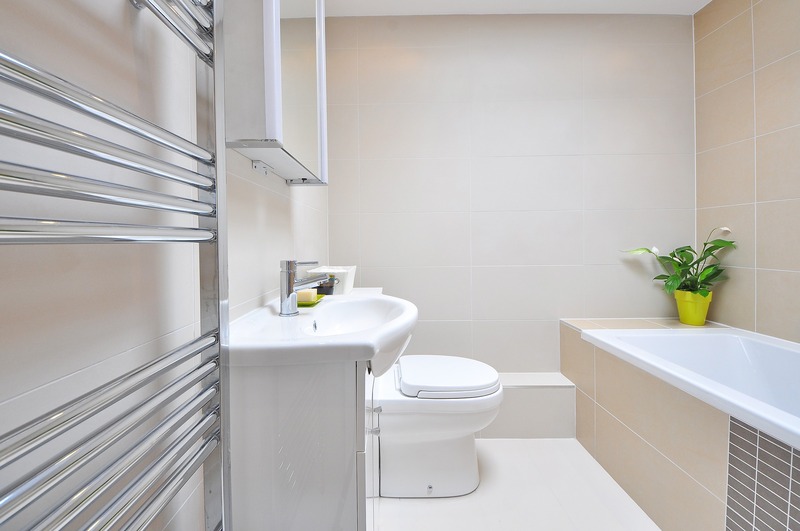 Compact design takes up a very little bathroom wall space. Make your bathroom cooler with an Automatic Toothpaste Dispenser. The bathroom accessory allows you to solve yourself the trouble to mess with toothpaste tubes. You simply need to press down the whole toothpaste tube into the automatic toothpaste dispenser. After that, you need to press the button on the toothpaste dispenser every time you need to brush up your teeth. It’s for sure one of the coolest time-saving technologies of the 21st century. Looks great with most of the contemporary bathroom décors. Make your bath way more fun and cool with Eveltek Floating Pool and Spa Lights. The mood-setting solar powered LED lights can be used in various settings, ranging from swimming pool to Jacuzzi. You can use the LED lights without worrying about water splashing on them. These LED lights can even be used by hanging them from a gazebo or umbrella. Eveltek Floating Pool and Spa Lights features an inbuilt solar panel that absorbs sunlight during the day to provide brilliant illumination during the night. Automatically turns on during dark. Offers up to 8 hours of illumination. Suitable for bathtub, fountain, Jacuzzi, pond, spa, and swimming pool. Do you always want extra help while styling your hear? Well, now you can have just that with the Hands-Free Blow Dryer Mount. The mount allows you to simply set your blow dryer in a convenient position to let your style your hair with both your hands. The bathroom accessory comes with a 360-degree rotating head that allows you to set it according to the best angle that provides you the most comfort while tiding up your hair. Allows you to use both your hands while styling your hair. Easily attaches to any surface. Heavy-duty suction cup for a rugged usage. Enjoy a great bath with LED Sensitive Rainfall Shower Head. The LED light allows you to avoid jumping into a cold shower with its dual light feature. For water having a temperature less than 890F, the LED beams out blue light, while for water with temperature more than the 890F mark, the LED rays a red light. Moreover, the bathroom accessory lets you enjoy a low-light shower. Different lights for hot and cold water. Long battery life and simple charging. For some people, odor and feel are important for any space. Keep your bathroom clean and fragrant with Mini Moso Natural Air Purifying Bags. The bathroom air purifiers come with a bamboo charcoal interior, ideal for absorbing foul smelling allergens and moisture from the bathroom. It also absorbs unpleasant odors. You can simply place the fragrant air purifying almost anywhere inside your bathroom. Compact design can be placed at any convenient place inside the bathroom. Removes all odors, allergens, and moistures from the bathroom space. Keeps the bathroom fresh for a long time. Looking to add something special to your bathroom décor? Well, why not try the Nose Gel Dispenser! The green colored giant nose oozes out the gel from its giant sized nostril. While it might seem gross to you, your kids might find it lovely and interesting. Maybe your guests might find it hilarious too. The comical bathroom accessory is very simple to use. Simply push the right nostril of the Nose Gel Dispenser to get the green gel out from the left nostril. Maybe, you might want to use it to woo guests during the Halloween party. An exact copy of a giant sized nose. Suitable for any bathroom décor. Enjoy having a nice hot toddy or a frozen Daiquiri with the special someone in your bathtub, pool or spa with 2 12-ounce wine glass set. While glassware is always at risk, plastic tumblers provide no real feeling of having a toast by the bath. Set of two 12-ounce wine glasses made of silicone are perfect for having a care-free and ambiance full bath n drink. The unbreakable wine glasses flaunt a beautiful design and are crafted from an unbreakable silicone material. Made using 100 percent food-grade and BPA-free silicone. Suitable for cold as well as hot drinks. Everybody is a bathroom singer, while some of them are even bathroom rock stars. Shower Sponge Microphone is the ideal accessory to make your bathroom singing sessions more enjoyable and full of ambiance. The high-quality shower sponge is shaped perfectly like a typical microphone and is also great for scrubs. So, enjoy hearing the singer in you in between those scrubs with this unique bathroom accessory. 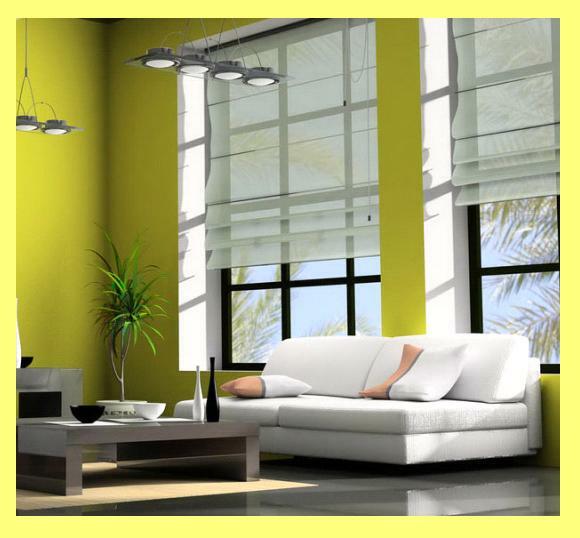 Comes in beautiful yellow color. Made from a top quality sponge material. An exact replica of a microphone. Fed up with the conventional bathroom wall hooks? Try Umbra Sticks, Wall Hook. The bathroom accessory not only allows you to hook up to 5 clothes, towels, and accessories but adds a stylish look to your bathroom décor. The bathroom accessory is made from durable hardwood, which ensures a long service time. Moreover, the stylish wall hook allows you to save the precious bathroom space while not in use. For this, the bathroom accessory comes with hooks capable of being flipped upwards. Compact design, flip the hooks upwards while not in use. Looks great with most modern bathroom décors. I hope we gave you some ideas for your next decoration project. You checked our pick of the 12 most enjoyable and useful bathroom accessories to make your bathroom livelier than ever.